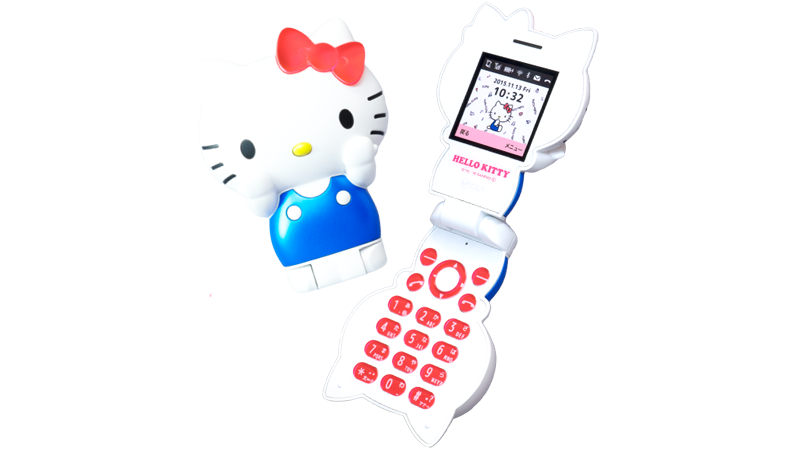 This fall, a new Hello Kitty shaped mobile phone will go on sale. Where? Japan, where else. Priced at 12,000 yen (US$100), the Wi-Fi and Bluetooth enabled phone comes with a rather small 1.54 inch screen. However, when you close the flip phone shut, it looks like a small Hello Kitty figure. This might be good for those who want an interesting second phone, kids who need their first one, or people who adore Kitty-chan.